On the second Wednesday of every month I will be doing a “stranded” tag/linkup with Mix & Match Mama and A Little Bit of Everything, where if you could only bring three things on a deserted island, what would they be and today is Medicine Cabinet! 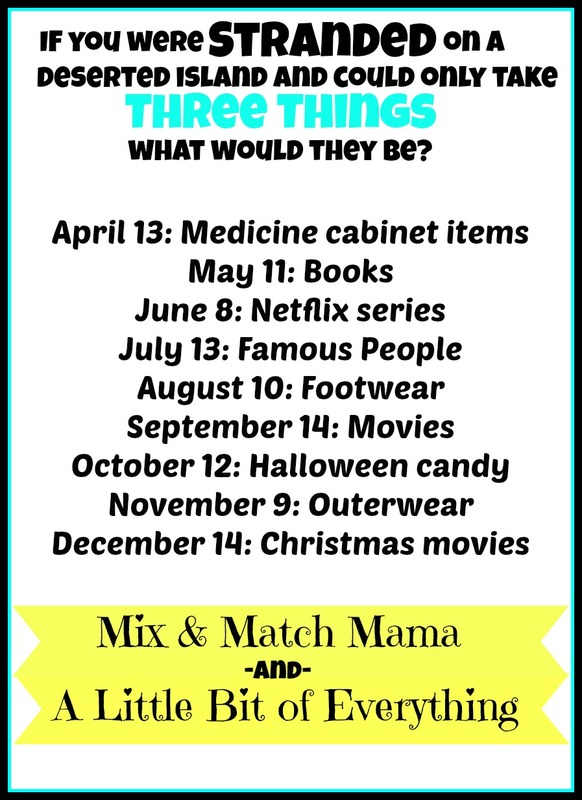 Really guys…three things is hard to narrow down!!! Just think about it what would you bring if you could only take three things. So you all know I’m type A and probably spent waaaaaayyyyy too much time thinking about it and I even found myself yesterday thinking about it at the auction barn, haha! Maybe I would take that…nah, not that, may this…oh the anxiety, lol! 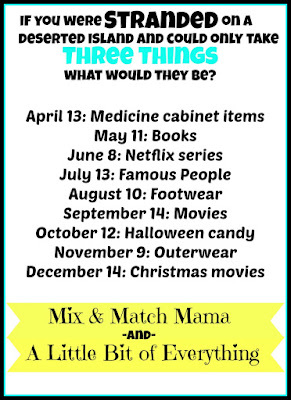 Are you ready…here are my picks for three things I would take from my medicine cabinet! I love Yes to Cucumbers wipes I keep them in my bathroom, purse, car and you can use them on your body too if you need it. My second use would be to let the towel dry out and use for wound dressing, drying something etc. 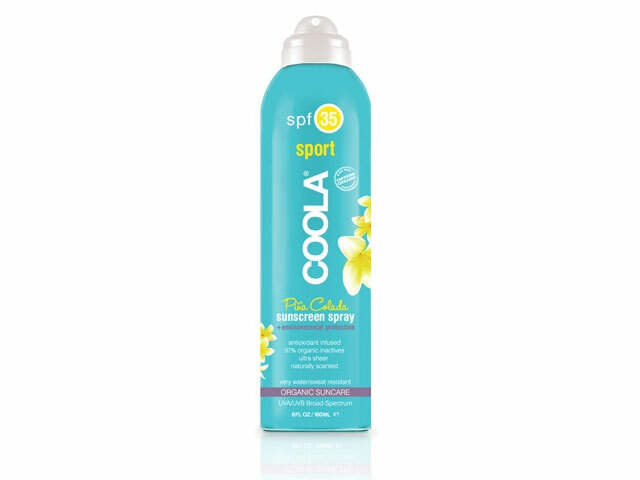 Sunscreen is my second choice, right now I’m loving Coola for obvious reasons, island sun…I don’t want to come back looking like an old leather purse, I’m just saying!!! You can use it all over your body and it can double as your moisturizer. 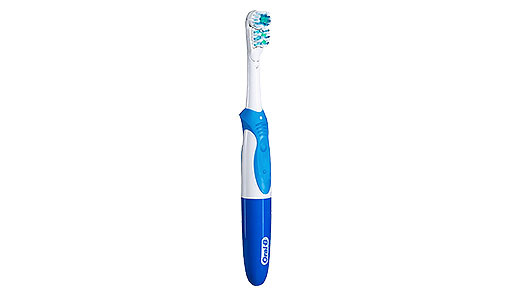 Honestly I think it goes without saying everyone needs to bring a toothbrush, even if you don’t have toothpaste, you can at least dry brush your teeth, haha! That’s it, those are my three and I probably over thought but three is difficult. Next months is books, oh boy! Talk to ya soon friends! 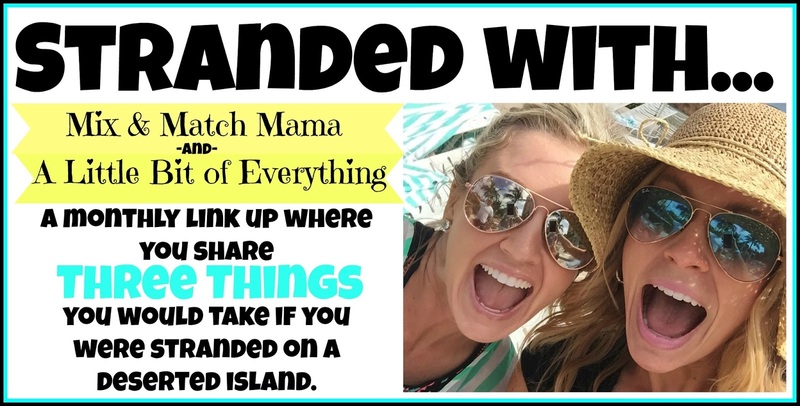 Next Post ADOPTION: 1 MONTH ANNIVERSARY!